Few creatures live in such close and intimate contact with human beings as flies. As `the constant, immemorial witnesses to the human comedy', flies accompany human beings wherever they go, even beyond (or at least into) the grave. Almost one tenth of all the species known to science are flies. For centuries, flies have been seen as mankind's enemy, blamed for plagues, subject to public excommunication in the Middle Ages and campaigns of extermination during the early years of the twentieth century. As `Lord of the Flies', Beelzebub is the embodiment of evil. For many centuries, flies were thought to be produced by spontaneous generation, and thus not to be legitimate parts of God's creation. From St John Chrysostomos through to David Cronenberg, flies - and, more especially, their maggots - have represented the horror of the formless. And yet human beings have also found it easy to identify with the weakness and vulnerability of their intimate enemies - and even occasionally to admire their pursuit of pleasure. Fly explores the slow redemption of the fly, as the intricate miracle of its design and function gradually became appreciated. The secrets of the fly's uniquely versatile powers of flight are only just beginning to be understood and harnessed. The twentieth century that began with worldwide campaigns for the extermination of the fly ended with the humble fruit fly at the centre of the revolution brought about by genetics. Connor delights in tracking his lowly subject through myth, literature, poetry, painting, film, and biology. 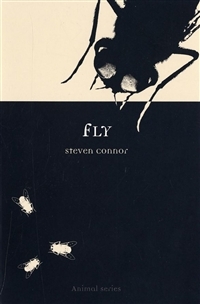 Humans live in close and intimate quarters with flies, but Fly is the first book to give these common creatures their due.